The question posed to me after screening No, the Chilean film up for Best Foreign Film at this year’s Academy Awards, was whether the film is cynical by pointing out that masses of people could only be mobilized for social change through advertisement campaigns similar to those of Coca-Cola, or optimistic by reflecting on the possibilities that media could change society’s attitude for the better. After some consideration, I would put forward that the film does neither. 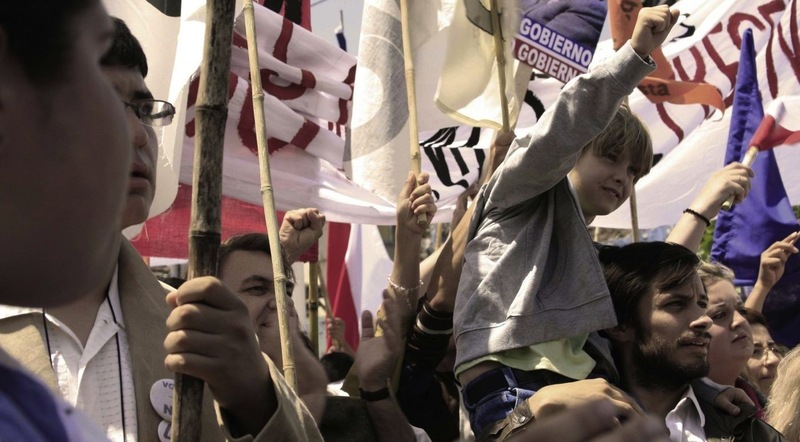 Instead, I believe the importance of No is its focus on the main character, Rene Saavedra, and the use of his talents for the campaign against the dictator Pinochet. 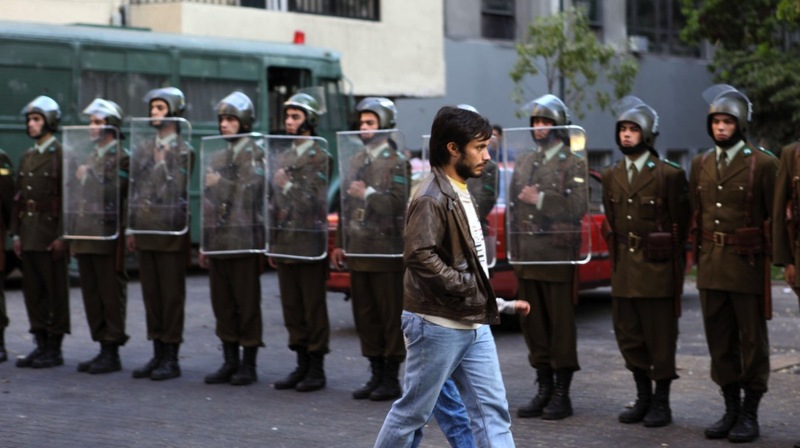 Throughout the film Saavedra is played by Gael Garcia Bernal as a very passive character caught up in the political upending of Chilean culture. What makes this passivity ironic is that as a creative artist in the advertising industry, Saavedra time and again aggressively asserts his ideas and skills during sales pitches, pre-production meetings, filming, etc. In essence, you have a character that on one hand is driven in his field of talent, yet on the other hand remains uncommitted politically. How does an artist like Saavedra reconcile their passion for the creative process and their unattached attitude towards the goal of the project, whether it is to sell more soft drinks or bring down a dictator? This schism, I feel, produces most of the drama in the film. I almost feel that it is luck that someone with Saavedra’s talents ended up in the anti-Pinochet campaign. What if he had been approached by pro-Pinochet backers before the “communist” Jose Urrutia got involved? Or, if we are to infer that Saavedra liked the challenge of being the underdog in a fight, what if Pinochet actually had fallen behind in the public’s favor and became sympathetic in his plight to maintain order? Unfortunately it seems that Saavedra, like the people he tries to manipulate with his advertising, are simple and driven by very human instincts. He, like most of us, are sometimes so self interested in individual preservation that we become blind to the greater good. In fact the underlying problem for Saavedra and his cohorts is trying to motivate old and young people to vote, with the older population too scared about political repercussions, and the younger population reasonably more concerned with finding a job. This entry was posted in 2013 Movies, Films, Movies, Reviews, Uncategorized and tagged 2013, Academy Awards, Chile, cinema, Films, Gael Garcia Bernal, Movies, No, Reviews. Bookmark the permalink.